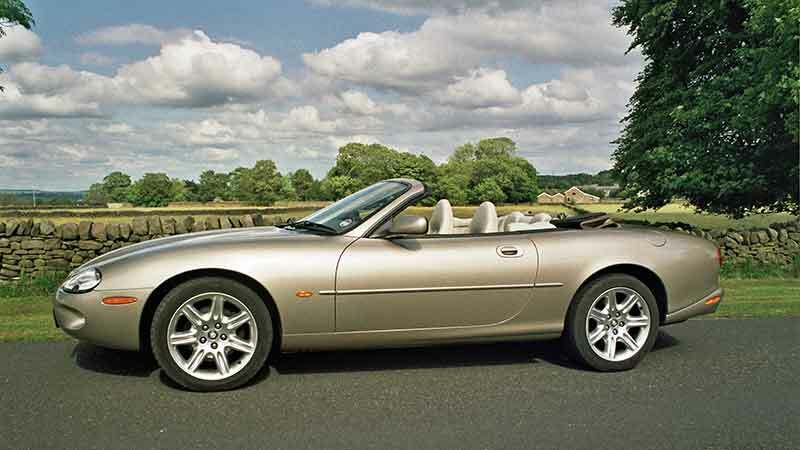 Why hire a Jaguar XK8 convertible? 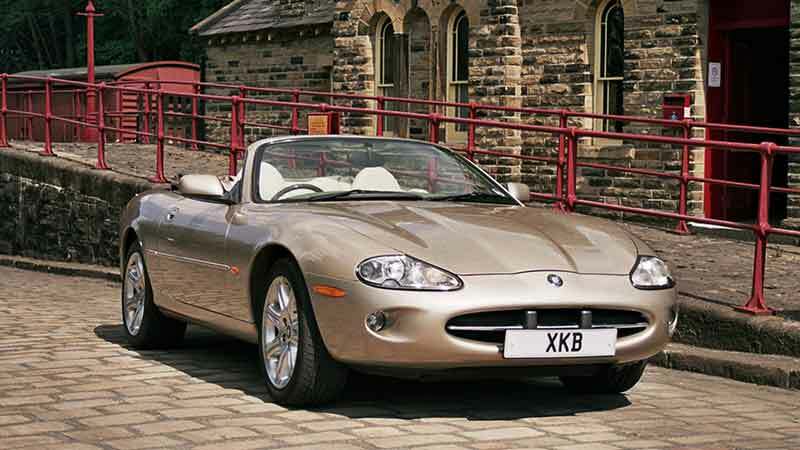 For Jaguar Hire in Yorkshire look no further than this lovely gold Jaguar XK8 convertible. Sit back and enjoy the luxury and performance associated with this superb grand touring car. You’ll feel like you are sitting in first class. 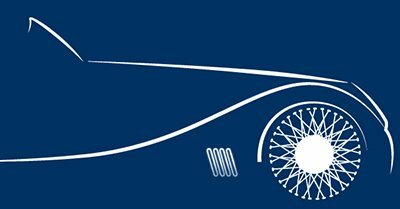 If you want to tour the beautiful Yorkshire Dales in comfort and style, this modern classic car is ideal. Why not hire this Jaguar sports car to celebrate a birthday, anniversary, wedding or other special occasion? Or head off to the Lake District, North York Moors or Yorkshire Coast on a weekend break or touring holiday. 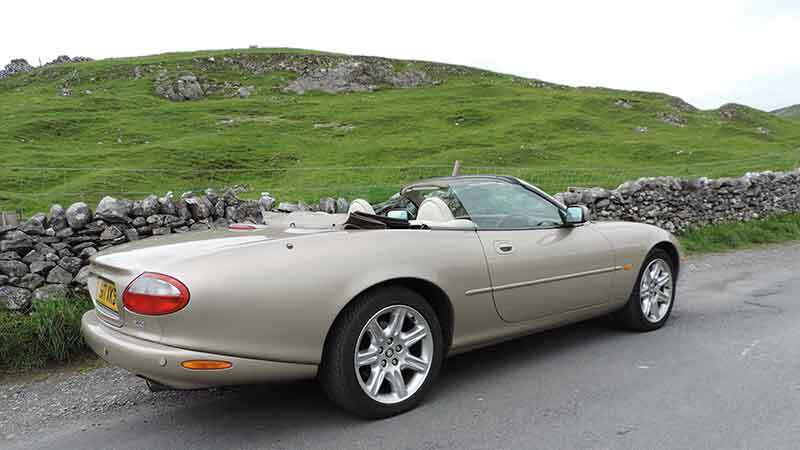 The Jaguar convertible car we have for hire in Yorkshire not only has the looks, but it has the performance to match. Thanks to its 4 litre aluminium V8 engine developing 290bhp, and automatic gearbox, it drives like a dream. This Jaguar sports car oozes glamour, luxury and style. 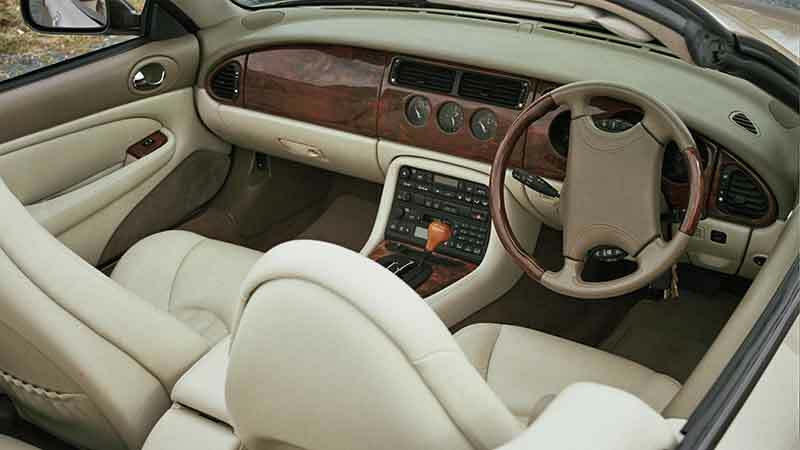 With its sleek curving lines, beautiful gold bodywork, colour matched power hood and best luxury cream leather interior with walnut trim, you’ll attract admiration from onlookers. The Jaguar XK8 is a grand touring car and has all the features you would expect from a Jaguar, including comprehensive levels of interior equipment with air conditioning and lots of safety features. It’s ride smoothness means that its a very relaxing sports car for long trips, but you can also change effortlessly into manual for extra vroom! 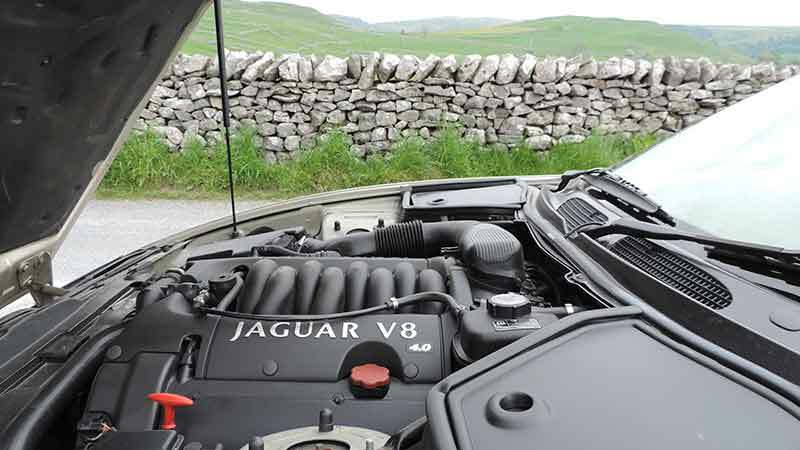 A Jaguar hire in Yorkshire gives performance as well as luxury. Some of the photographs of our Jaguar XK8 were taken by Matt Nichols of Classic Cars Driven who has kindly given his permission for us to use them on our website. 4 litre V8 engine with twin overhead cams, 4 valves per cylinder with variable valve timing. Light alloy block and cylinder heads. 5 speed Automatic gearbox, with sports mode and manual override. Electronic traction control. 2 door, 2+2 seater soft top.